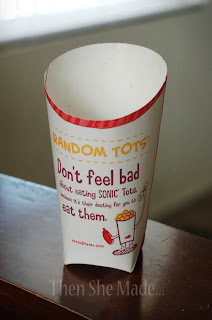 Then she made...: Eyes and Fries, well tots actually! For those of you who follow this blog from Judy's store, you'll recognize this project, well kind of. 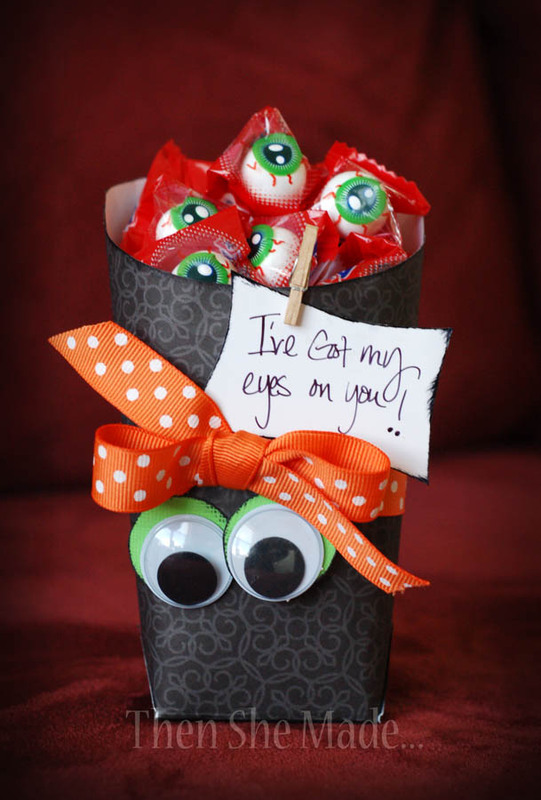 And for those of you that are new, here's a project idea that I re-use for multiple holidays or events - it's fun and simple, two of my favorite things. 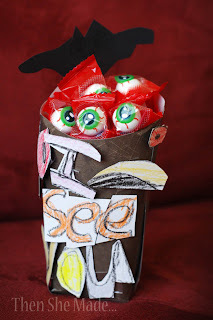 If you need a quick and inexpensive little Halloween themed gift, this is super easy and cheap budget-friendly. Step Two: Carefully undo the empty package and wipe it out so there are no leftover food pieces or grease. Step Three: Trace shape onto scrapbook paper and cut out. 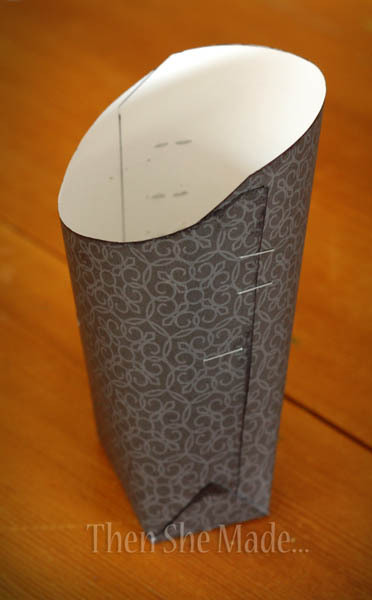 Step Four: Fold cut out paper into fry box shape and staple or glue together. Step Six: Fill with treat and give away! And, because I like to craft with my kids, this is one of those easy projects that they can do and customize. Little Bug, one of my twins, made this one for a friend - cute, right? !